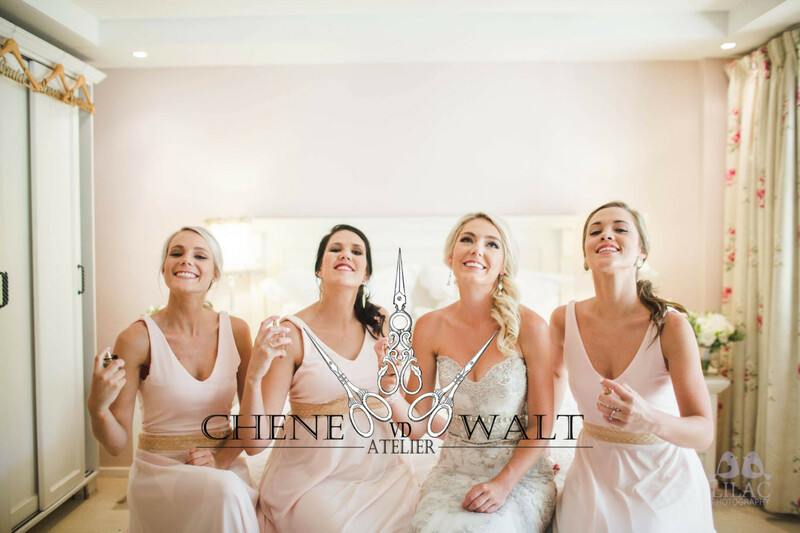 I have been sharing my knowledge and experience through Chene vd Walt Ateliers’ different services and I am absolutely loving every moment. I feel I have a calling to serve others through dressing; to change, to enhance and to heal in some cases. To see a project unfold in front of my eyes, where a dream becomes a reality or, where an idea goes from a sketch to the final look, makes me childishly happy. I have a gigantic passion for all things design related and I am never more alive than when I’m knee deep in fabrics and trims with a bucket full of ideas. It started as a fascination and hobby when I was young, with countless arguments with my mom about disappearing bed linen and clothing. My grandmother (a self-taught dressmaker) would keep her fabric scraps for me for when I would visit in the holidays to play dress up with my dolls or her dog. During school I would make some of my own clothing or “recycle” them. And when it became time to start applying for studies after high school I knew I had to do something completely creative or I would die slowly from being “normal”. After doing some research I decided to go into Fashion as my biggest passion was Fabrics and what you can do with it. So I applied at Elizabeth Galloway because of its location mainly, as I have a twin sister and she applied at Stellenbosch University. And I quickly fell in love with Stellenbosch as I am originally from Empangeni KZN (I have still not been able to leave this beautiful place). After studies I did décor and styling projects for private clients in between my work as a fashion designer, and I still enjoy the odd occasion. It was with the idea of running my own business that I decided to go into retail and learn the “tricks of the trade” whilst continuing with my brand after hours. I have learned much more that I could ever have expected in both areas, and it is also how I realized how big my passion is for women and what an impact I can make on their day to day lives or just their one big day with my particular set of skills and knowledge. In the future I will be doing courses in image consulting and wardrobe planning to add to my skills arsenal. The ultimate goal is to have a family business with my accountant twin where the brand brings out an annual collection and we have multiple services. Some tips I can give anyone regardless their field would be to 1) start networking asap, it is crazy how far that alone could get you, go to the party or exhibition of conference 2) be eager to help your fellow industry friend, what goes around comes around, 3) do not be stingy with your knowledge, share with people and they will share with you, 4) you are the biggest and best advert for yourself you will ever get/use, if you make clothing wear your brand, if you sell perfume make sure you smell nice, if you are an artist look like one! 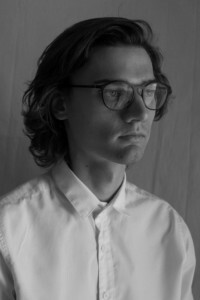 After completing his diploma in Fashion Design at Elizabeth Galloway Academy of Fashion in Stellenbosch, Phillip began working as a design intern in Cape Town. Having worked in the industry as a model, design assistant and a sales assistant, he gained valuable experience in the local clothing industry. The combination of working with photographers and stylists, being an assistant in a busy studio as well as working in retail helped him build a clear understanding of who his client is. In this way, by fully emerging himself in Cape Town, the 22 year old was able to refine and develop his brand that he now runs under his own name. His label offers contemporary South African ladies’, men’s and unisex pieces and he also does bespoke garments for clients. Simply stated he wishes to make conscious, well designed and effortless clothing. Phillip grew up in Cape Town, near Stellenbosch. The countryside with its easy going nature and diverse landscapes around it continues to inspire him. Everything around him, from composition and colour to the fabrication of clothing are fundamental to his design aesthetic. Gizelle’s first business, The Duck Egg Company runs completely online and partners with industry leaders in design to showcase their products on international and local expo events. The company furthermore offers Interior Design services to residential and commercial projects. She also started a second division to the company named Linen Emporium, which supplies wholesale linen to the medical and hospitality industries and serves as a quality consultant and freelancer to the retail companies and their factories. Having joined Elizabeth Galloway Academy of Fashion after studying Economics and looking for a challenge, Gizelle graduated in 2011 and started working as a Trainee Garment Technologist for Pepstores, A division of Pepkor, in January 2012. She completed the two-year trainee programme in only 14 months after being promoted into a fully-fledged garment technologist in the ladieswear department that expanded to pattern making and advanced quality assessment. After the birth of her daughter, she left the corporate industry and started her own company in the interior design industry. 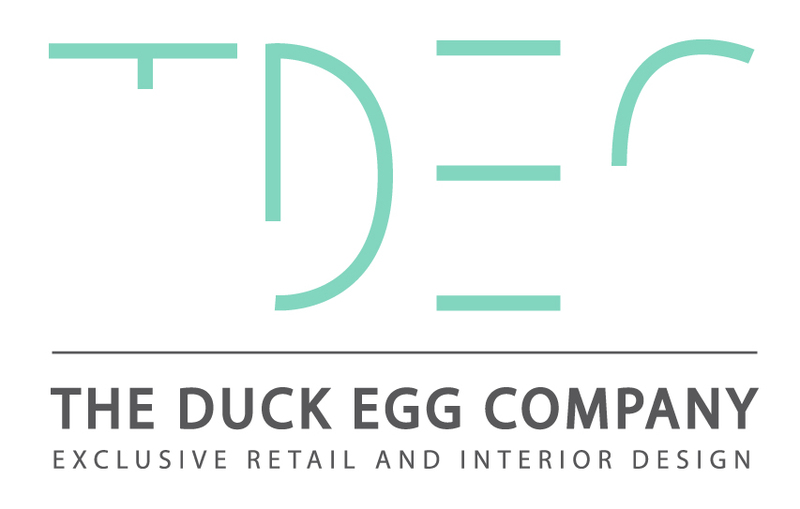 Since 2014, The Duck Egg Company has grown from strength to strength with over 45 South African and International stores stocking their products. She believes that the sound knowledge of design and garment construction taught at the Academy assists her to translate this to all types of design. She also believes that staying up to date with technology, loads of self-study, surrounding yourself with driven and positive people and working hard every day allows you to be a successful entrepreneur. 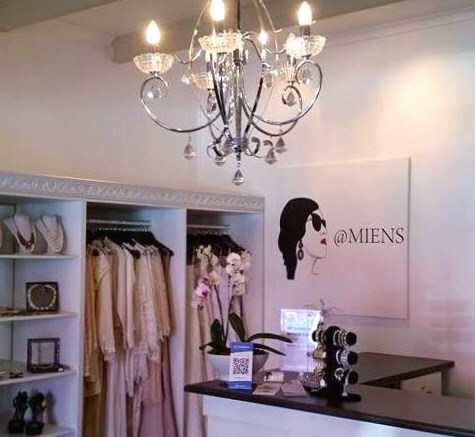 In 2014 I opened the doors of a ladies fashion boutique in Hermanus called @miens. At first I started out by only buying established designer labels at wholesale prices to retail in my shop. After a year I had gained much more understanding and knowledge of the specific retail market in Hermanus. I decided that it was time to take things to a new level and launch my very own label. Today (2017) almost 3 years later, and my shop is now fully stocked with my very own designs under my own brand. Fashion has been my passion and the love of my life since I was a little girl. Being creative combined with my love for fashion and trends, I just knew fashion design was something I would love to study. I decided on Elizabeth Galloway Academy of Fashion, which is being recognized as one of the top Fashion schools both nationally and internationally, who aim and strive to produce students who are ready to enter the fashion industry with the utmost expertise and confidence. 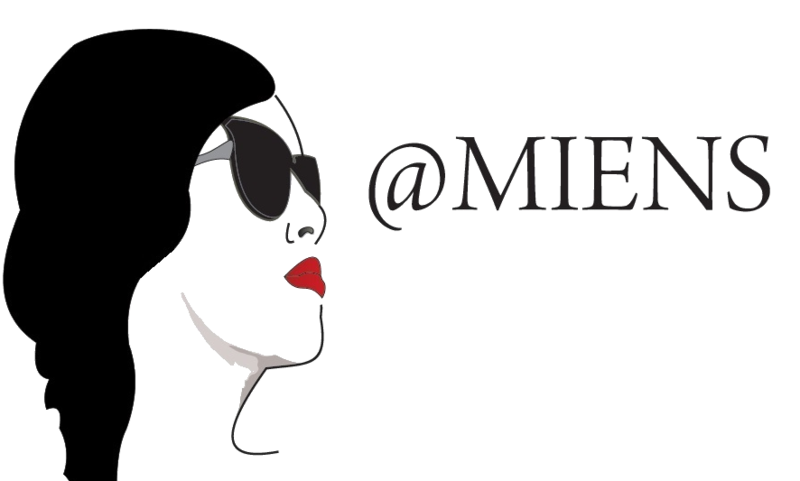 I was always dreaming about having my very own business one day combined with my passion for fashion. So I decided to take action and turn my dreams into a reality. Having my shop filled with my own designs under my own brand is definitely the biggest highlight and the most rewarding feeling in my journey by thus far. 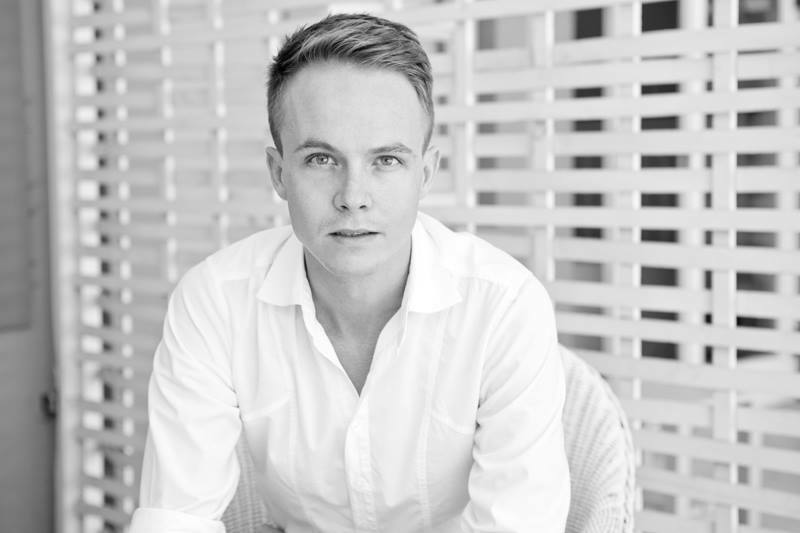 Stephen grew up in Kathu, a small town situated in the heart of the Northern Cape, bordering the enigmatic Kalahari. His career objective from early childhood was to become a dentist, but as the years progressed fashion as a vocation resonated with him and this elicited a creative spark of realisation that fashioning a woman in luxurious fabrics and effortlessly styling her in a manner reminiscent of a mythical deity would leave both designer and muse with a contented smile. Stephen studied at Elizabeth Galloway Academy of Fashion in Stellenbosch. After graduating top of his class in 2007 and receiving several awards as a young design student, he was deterrnined to leave his mark in the South African fashion industry. Shortly after graduation, he was appointed as designer, product developer and PR-liaison at the Cape Tovm based accessory leathercraft company, Cape Cobra, which specialises in the design and manufacture of exquisite exotic leather goods for local and international clientele. Within this well­ established luxury company a stable platform unveiled for this young designer. Stephen had the privilege of working with top International brands in the pursuit of developing their exotic leather accessory collections, whilst absorbing the creative energy and knowledge of these global icons. He kept his passion for bespoke couture alive after-hours, by creating gorgeous gowns for his private clients, mostly brides, and frequently participated as a young designer at fashion events and design competitions. 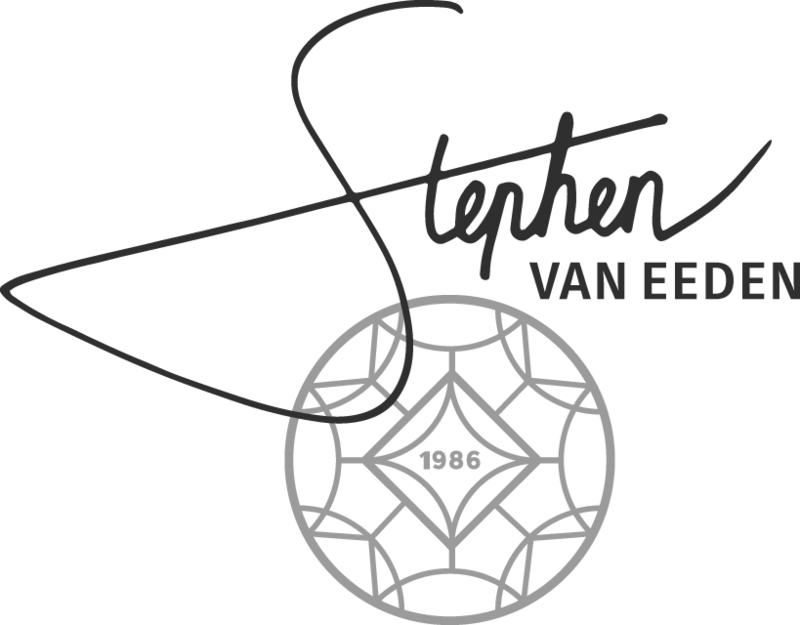 Stephen’s own handwriting was incorporated into the logo to add authenticity and a hint of flamboyance. The brand’s visual identity represents his design aesthetic which is feminine, modern and glamorous. The emblem, an illustrated line diagram of a multifaceted cut ruby with the number 1986, refers to Stephen’s birthstone and to the year of his birth. The Ruby has always been a talisman of passion, protection and prosperity, in Stephen’s life. It symbolizes the sun, and its glowing hue suggests an inextinguishable flame within the stone that legends claim would shine through even the thickest cloth. Since matriculating from Brackenfell High in 2004, Kim Gush has already accomplished an amazing amount. She first attended City Varsity, where in 2006 she obtained a Certificate in Motion Picture Make-up studying subjects such as Make-Up for Photography, Film & Stage, Special Effects Make-Up, Illustration, Art History, Stage Set Design and Fashion History. During this time she worked as a freelance costume designer and as assistant designer/buyer with Ish Ish Designs. Kim also started up as freelance make-up artist and stylist, doing hair and make-up styling for special events and photo shoots – something she continues to do. In 2009 she enrolled at Elizabeth Galloway Academy of Fashion Design, graduating in 2011. In the process Kim reached the top 11 in the SA Fashion Week National Student Competition of 2011, and also received the Lena Harley Trophy for Best Static Display (as decided by a panel of external judges). 2012 saw this highly prolific woman managing the wardrobe department on the set of a television series for two months before being selected as one of four winners at the AFI Foschini Fastrack event in March. This led to her becoming the AFI Young Designer of the Year 2012 in October. Amid showing a men’s wear collection for her own eponymous label at both Johannesburg and Cape Town Fashion Weeks, Kim still works as junior fashion designer at Kazak in Observatory as well! Kim Gush is an inspiration to the whole Elizabeth Galloway community. With a work ethic like hers, the sky is the limit, and we will be following her career closely. Mari van Graan graduated from Elizabeth Galloway in 2011. Subsequent to her marriage to a Namibian early the following year, she settled in Okahandja, where she started her own couture business, specialising in wedding and matric dance dresses. Mari’s mother taught her to sew and she loved it from the outset, so studying fashion design was the natural course to follow. She had already made her own matric dance dress before coming to the Academy, and when she got married she designed and made her own wedding gown, as well as her bridesmaids’ dressesand her sister, mother, and grandmother’s outfits! Mari sees it as the task of the designer to make the client look as beautiful as she possibly can, and this sometimes entails reconciling two sets of ideas. The aspect of her job which she finds the most enjoyable is the physical sewing and embellishing of a garment. Wedding dresses are special, she feels, as the designer becomes an integral part of a very important event in the client’s life. This is a woman who clearly delights in her chosen career. During her studies at Elizabeth Galloway, Maryke Albertyn, developed her own label: MaryK Designs. Taking on orders for anything from bridesmaids dresses to men’s ties, Maryke slowly started to build up a client base for herself. 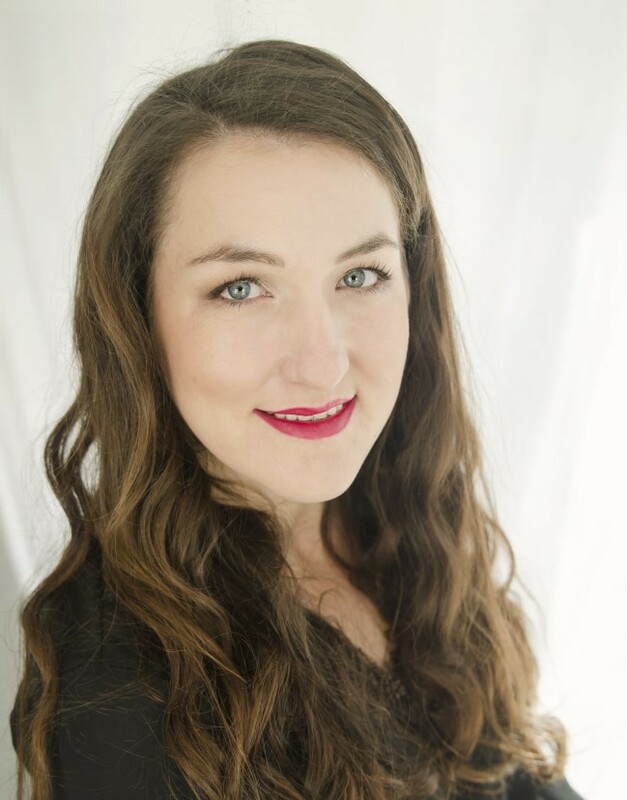 After graduating from Elizabeth Galloway in 2011, Maryke took on the exciting challenge of starting her own business. 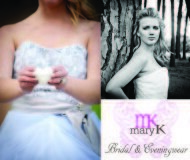 In 2012 Maryke launched her own bridal range under the MaryK label. 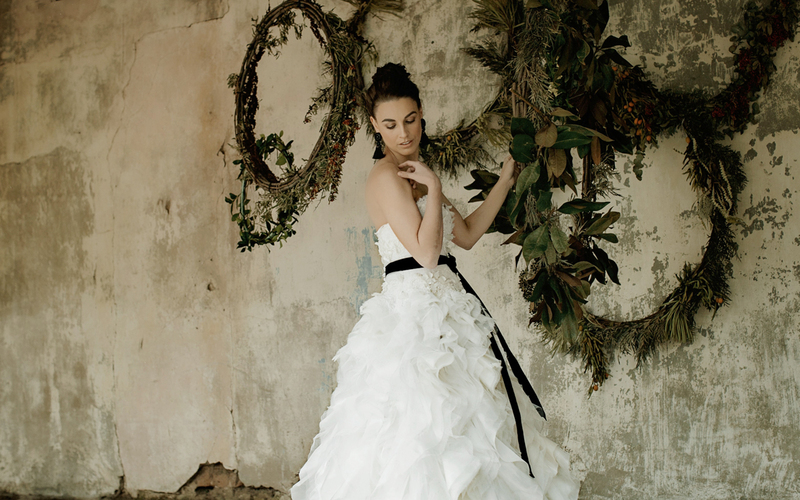 Her designs are feminine and sophisticated, often with romantic or vintage inspirations and modern styling. Today she designs fulltime from her studio in Welgevonden, Stellenbosch, and will soon be moving to a larger studio, to accommodate her clients and her growing business. Unsure of exactly what she wanted to do after graduating from the Elizabeth Galloway Academy of Fashion Design in 2008, Barbara went abroad for a few months. She observed the cultures and clothing of Europe, Asia and Australia. During her travels she established contact with a vintage clothing supplier, and the idea for “Babette” was born. 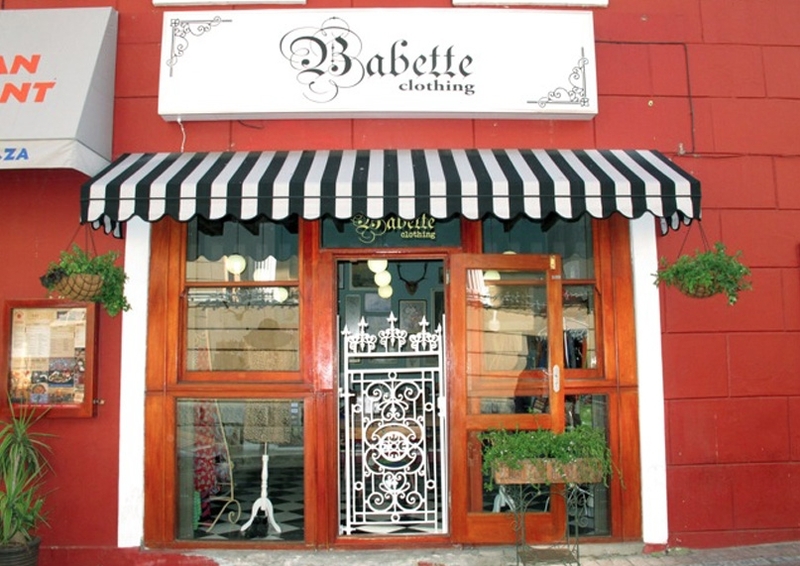 Barbara established the Babette Clothing label in September 2010. Her parents helped her with a small start-up capital to import vintage clothing. The shop opened in December 2011. From here she sells vintage clothing (which she alters herself), accessories, as well as bric-a-brac. She also works as a stylist. Barbara has this advice for young entrepreneurs: Just keep on doing what you believe in, if it feels right, it usually is. Be willing to stick to your brand and your ideas and take personal interest in your clients. 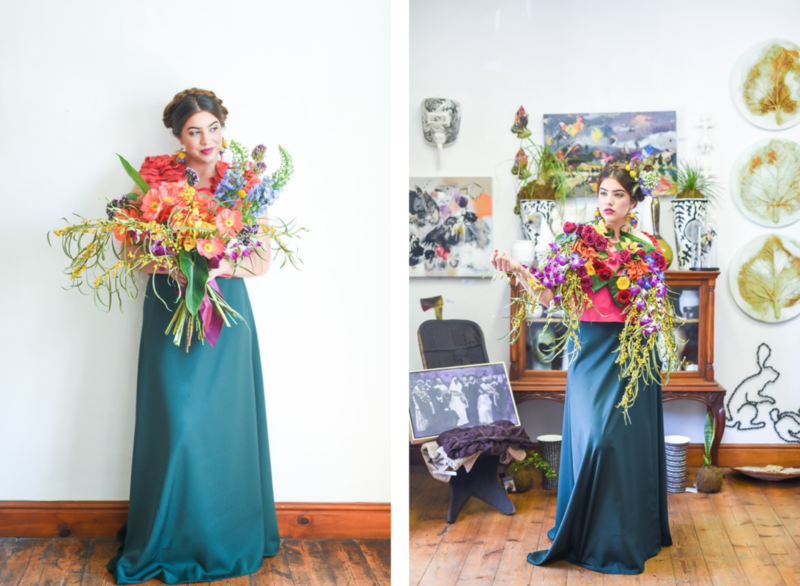 After graduating from Elizabeth Galloway Academy of Fashion Design with merit in her fashion studies, Teresa first worked for well-known couturiers in and around Cape Town, perfecting her craft. She then started her own enterprise working from home, focusing on bridal couture and exclusive separates. At this time, she also lectured part-time at Elizabeth Galloway teaching Fabric Manipulation techniques, in the process instilling in students her high standards for quality finishing. Ever pushing her creative boundaries, Teresa has been a finalist in numerous national competitions, and has participated in the Vodacom Durban July Fashion Challenge in 2007- 2010, as well as 2012. She also showed at MTN Durban Fashion Week 2008, and the Design Indaba. The brand GELIEFT-Bruid & Prêt-a-Porter which Teresa founded together with Stephen van Eeden, another EG alumnus, is since January 2012 solely managed by her. We warmly congratulate this talented designer, and wish her every success in a bright future! Crystal Birch graduated in 2006 with a Diploma in Fashion Design. Crystal has developed her skills and interest in visual language in fashion. She is becoming one of South Africa’s most sought-after stylist and milliners. Crystal has work extensively in fashion capitals New York, London, Los Angeles, Germany and South Africa. Her experiences range from getting published in top magazines like Elle Decor South Africa, Velvet, Contributing Editor, Hellion, and Cosmopolitan, to travelling with the circus creating sequin-covered unitards for Mongolian mouth contortionists. She has assisted established milliners such as Piers Atkinson and Noel Stewart and has been the right hand to Jackie Burger, Editor of ELLE South Africa, and Jan Malan, founder of FACE OF AFRICA for international fashion show productions. She is currently represented by One League Artist Management and was profiled as a creative in the November 2011 issue of Wallpaper Magazine. 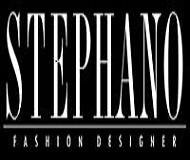 After graduating from the Elizabeth Galloway Academy of Fashion Design in 2002, Stephan spent several years freelancing before launching his label STEPHANO in 2004. In 2005 Stephan joined the group of Young Designers representing Elizabeth Galloway at Cape Town Fashion Week. 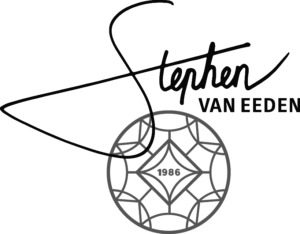 In 2011 Stephan collaborated with Zuyda van Dyk Jewelry and Glee Events in hosting a charity fashion for S.T.O.P Trafficking of People (http://stoptraffickingofpeople.wordpress.com/) at the prestige Val de Vie Estate. The aim was to raise funds for the charity and inform the public on indignities of human trafficking. Stephan had the privilege to work with Jo-Ann Strauss, Elsabe’ Daneel, Dieter Voigt and Heinz Winckler. Stephan’s work explores the link between design and art. He likes transporting the audience to fantasy world. Stephan’s designs can be seen at WOW!, a local boutique in Stellenbosch. After graduating with a distinction from the Elizabeth Galloway Academy of Fashion Design in 2005, Elmé spent several years working and freelancing at various fashion studios and institutions in both London and South Africa before launching her line in 2010. Elmé’s work explores the link between design and craft. She likes to push boundaries with her designs, manipulates and engineers textiles into highly sought after fashion forward garments. In April of 2011, she showed her debut collection at South Africa Fashion Week and launched her first label, Ek_Bacharach soon after. Elmé retails her range through a number of local boutiques such as The Farmers Daughter and WOW! in Stellenbosch. 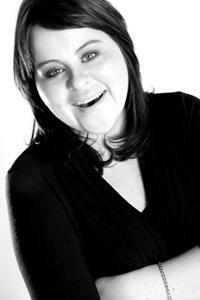 Since graduating from Elizabeth Galloway in 2008, Tarien has been a part of the “Non-European” mentorship programme. 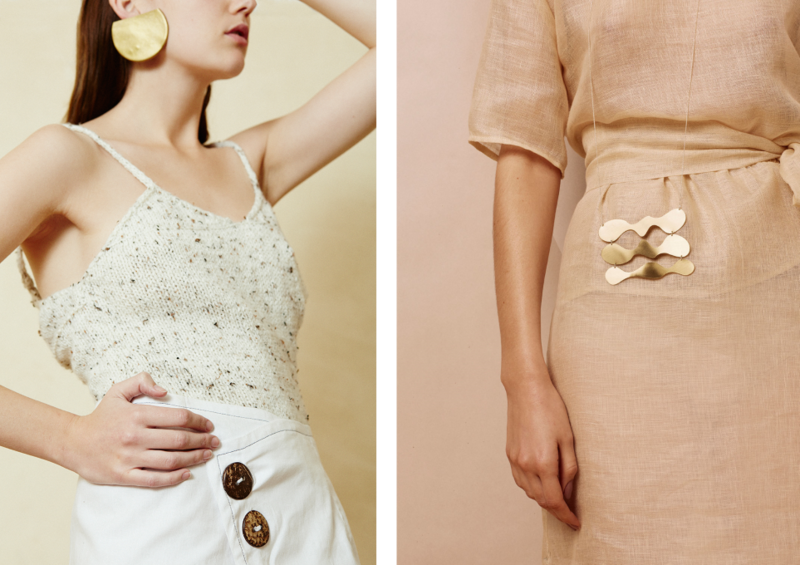 This programme aims to develop fashion ranges for retail with a strong focus on the work of emerging designers from the Elizabeth Galloway Academy. Under the mentorship of Elizabeth Malherbe and with the backing from the Academy, Tarien has been able to grow the label “Non-European”. Tarien has show-cased at all major fashion weeks in South Africa. This has helped to forge her position and standing as a local brand. In this time, she has built her distribution network and now stocks a host of boutiques in the Western Cape. She has built a solid following of customers and has become a sought after designer by local fashion journalist and magazines. Tarien’s style is restrained and dignified and this is evident in her attention to detail in the construction and finish of her work. Tarien sets a high standard in her work and pushes herself to constantly achieve this. In 2007 Chota Sulleman chose to leave her home in Lusaka, Zambia in order to complete a Diploma in Fashion Design at the Elizabeth Galloway Academy of Fashion Design. This was a brave move for this mother of two, but a small sacrifice to achieve her dreams. In her third year of study, Chota was noted as one of the best students in her class. She was show-cased as an emerging creative in fashion at the prestigious Design Indaba Expo 2010 in Cape Town, South Africa. This platform helped to expose her work to the industry and led to creative partnerships. To end 2010, Chota had her debut at Mozambique Fashion Week (MFW). At MFW Chota presented her Autumn/Winter 2011 collection as part of the Pan-African show case. This feature closed MFW 2010, with a selection of designers from countries as diverse as South Africa, Zambia, Senegal and Algeria. Chota’s collection explored the theme African Warrior Women. Strong embellishments echoed the patterns of bronze breast plates and the doors of Ethiopian Forts. 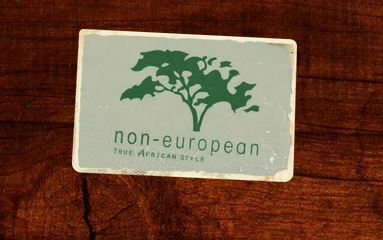 Her clothes are now available in Cinnamon and Silk stores in Stellenbosch, Cape Town, South Africa. a: What have you done since graduating? b: What has been the highlight of your time after graduating? c: How did you come to study Fashion? d:Why did you decide on Elizabeth Galloway?